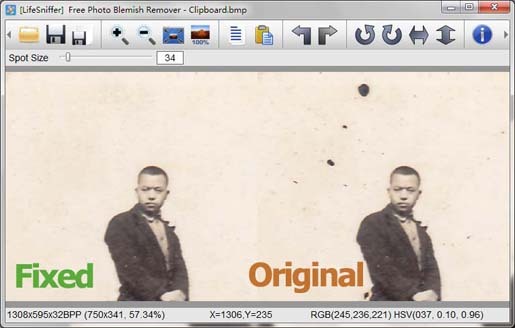 By using the Free Photo Blemish Remover software, you can remove the blemishes and imperfection of your photos. The tool is reliable and it lets you make your photos more accurate; remove the stains, blemishes and acnes on skin/face. This tool is capable of painting image errors with sampled pixels from an image or pattern and matches the texture, lighting, and shading of the sampled pixels to the pixels being healed. With this tool, you can have an option to record the operations as history list with undo and redo option; the tool brings you the supports cut, copy and paste edit options.